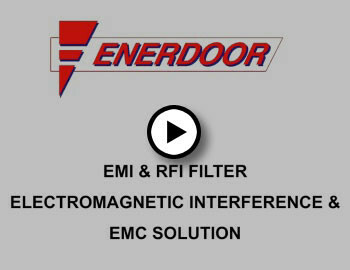 Enerdoor brings decades of motor protection and electromagnetic compatibility experience. The Enerdoor Group works with a broad range of products to include: EMI/RFI filters, motor protection, harmonic filters, line reactors, surge arresters, voltage stabilizers, and customized solutions. Established in 1992, Enerdoor brings decades of motor protection and electromagnetic compatibility experience with a track record of solving compatibility issues for companies around the world. • Enerdoor can approve your machinery or industrial plant with FCC Standards and meet all CE mark requirements for European export. The European EMC Directive 2014/30/EU requires that manufacturers of low voltage industrial machinery comply with EMC Standards for both emission and immunity. Be sure your machinery meets the CE Standard. Enerdoor engineers insure your equipment is immune to, and doesn’t emit, radio signals. • UL/CSA and UL508A approved products are shipped within three days after order receipt and all Enerdoor products are rated 600 volts and guaranteed for 5 years. Enerdoor features a mobile laboratory division able to perform all tests required for CE Certification directly at the customers facility. Our support system of global laboratories and affiliated organizations expedite the process of meeting Certification requirements.